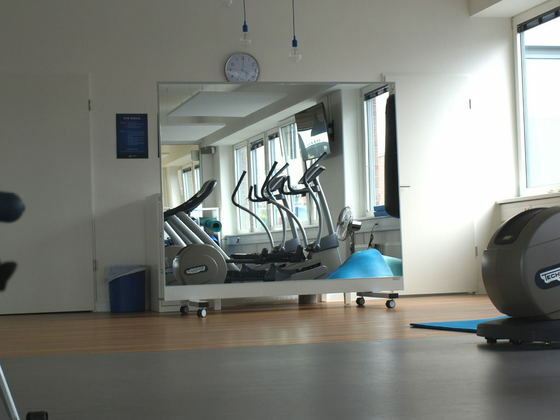 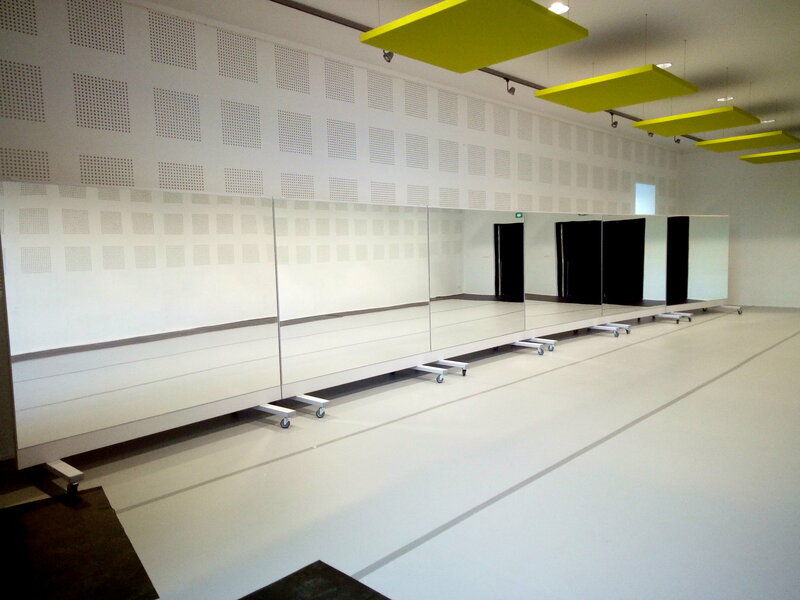 During a dance class or a work-out session it is imperative that you use a mirror to better control yourself and correct the fluency of your movements. 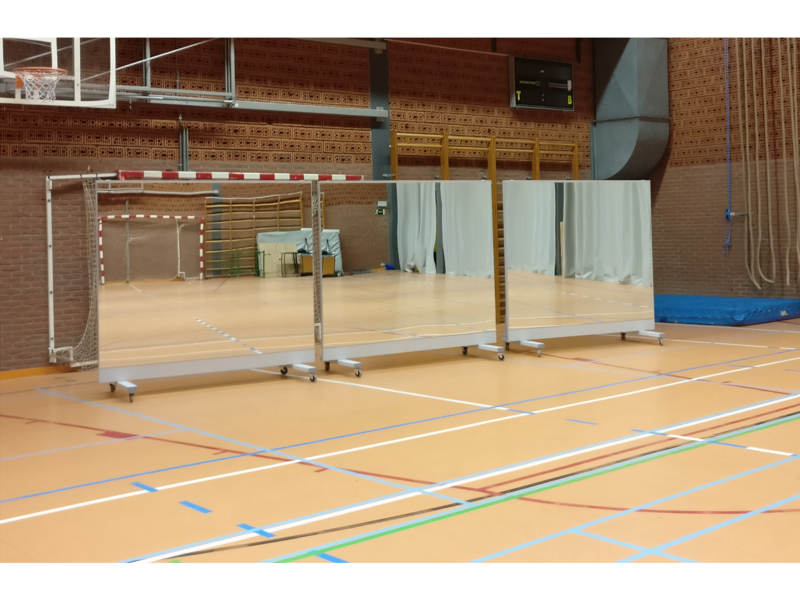 Unfortunately in many gyms there are no mirror sets at the athlete's disposal. This mobile mirror is a perfect alternative to change this situation. 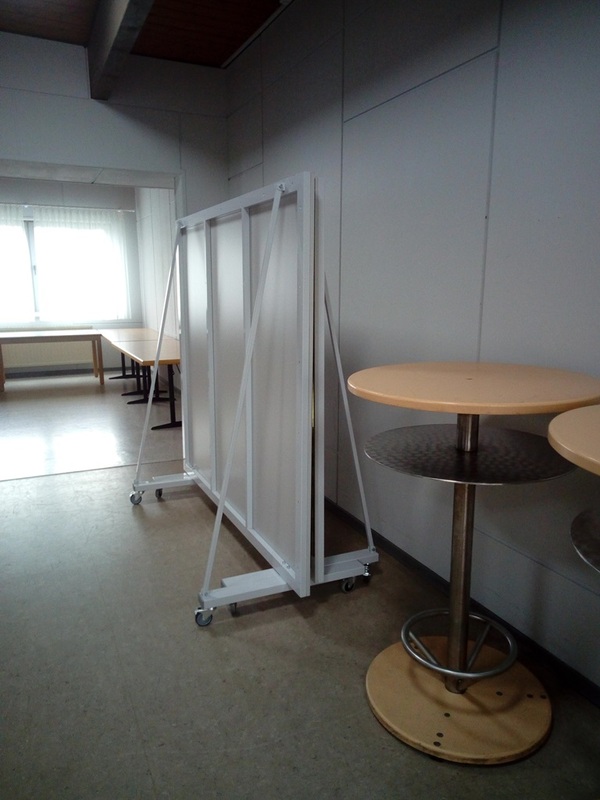 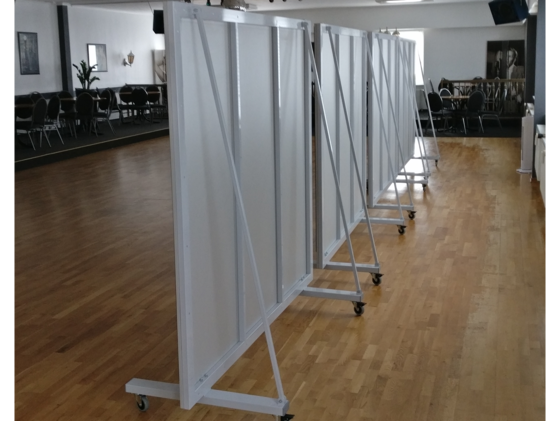 It is easy to move by hand and set in any part of the room. 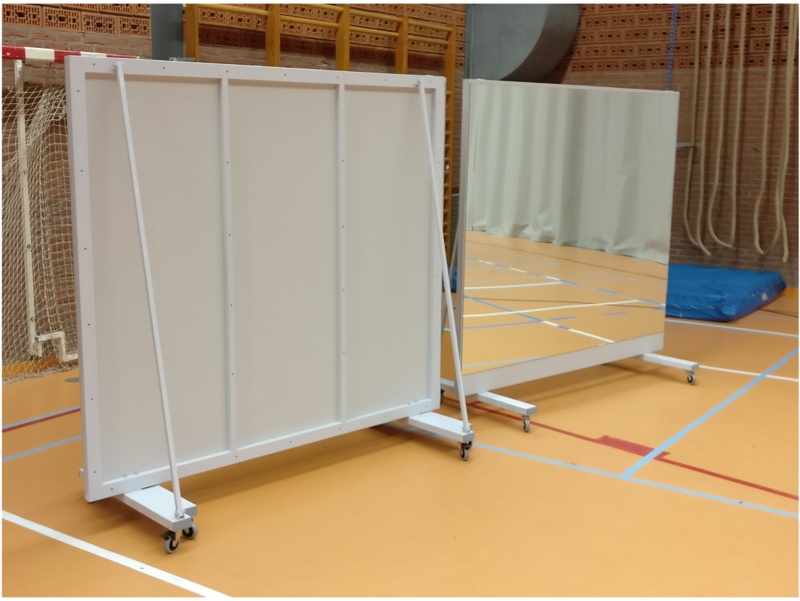 It is also a fair solution for home gyms and hobby rooms. 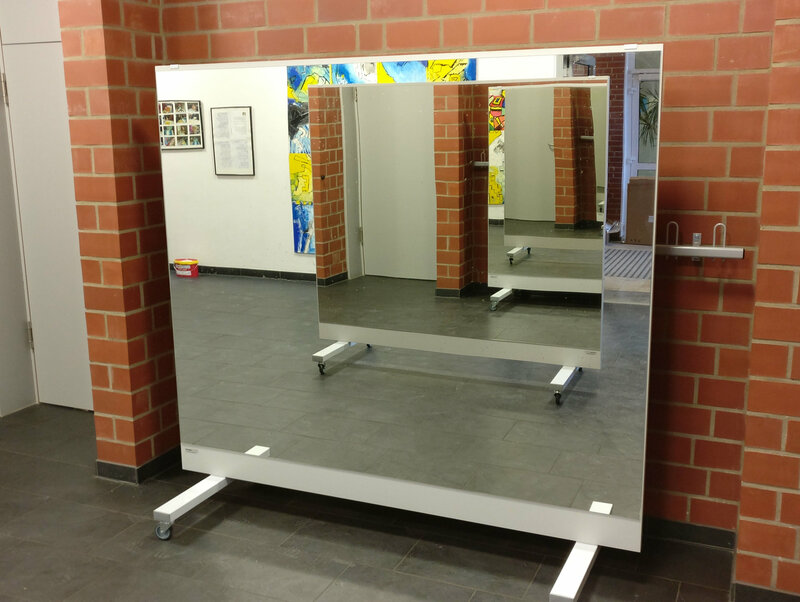 Dimensions of the mirror: 199 cm in width and 160 cm in height. 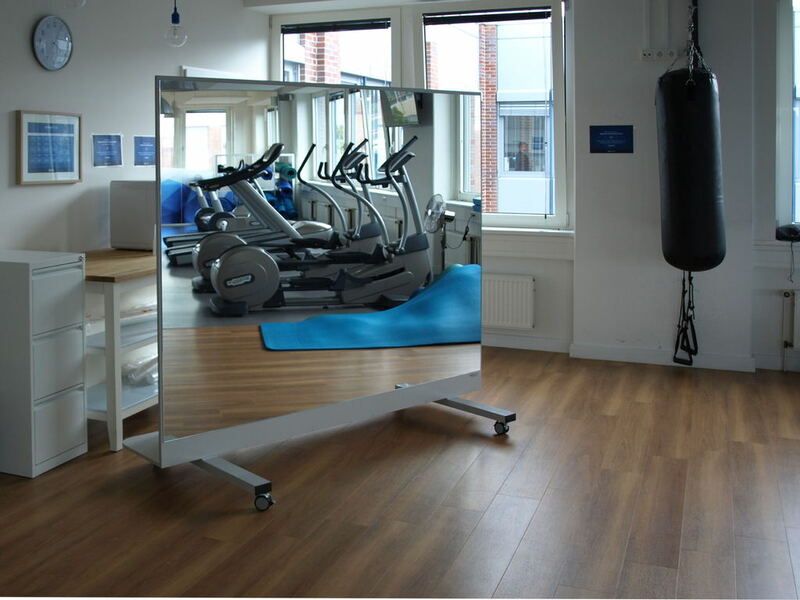 The mirror glass is mounted on a firm back panel that ensures its safety. The 4 mm thick glass is also covered with a special kind of shatter protection film. This ensures a high degree of safety both when transporting and when using the mirror. 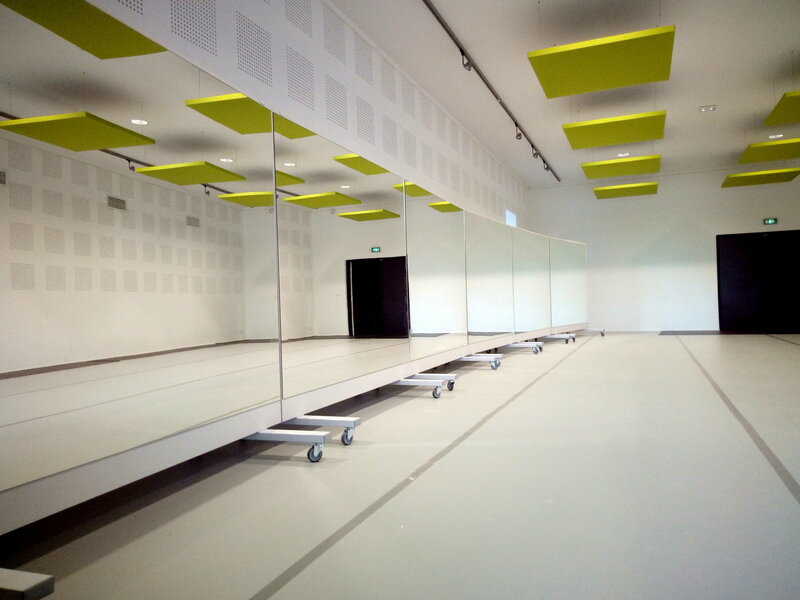 Its frame made of steel profiles causes the mirror to be free of any warping. 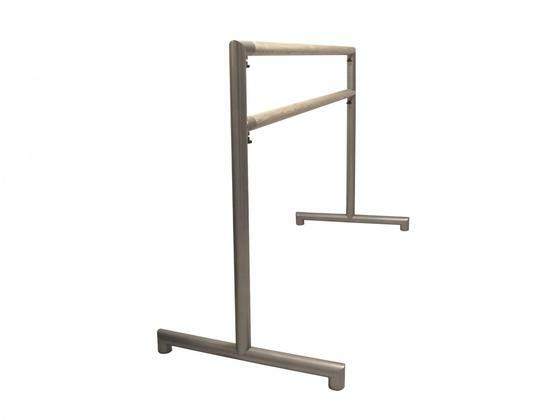 In addition to the support legs, which extend far to the front and back, two rear braces ensure a stable support for the mirror. 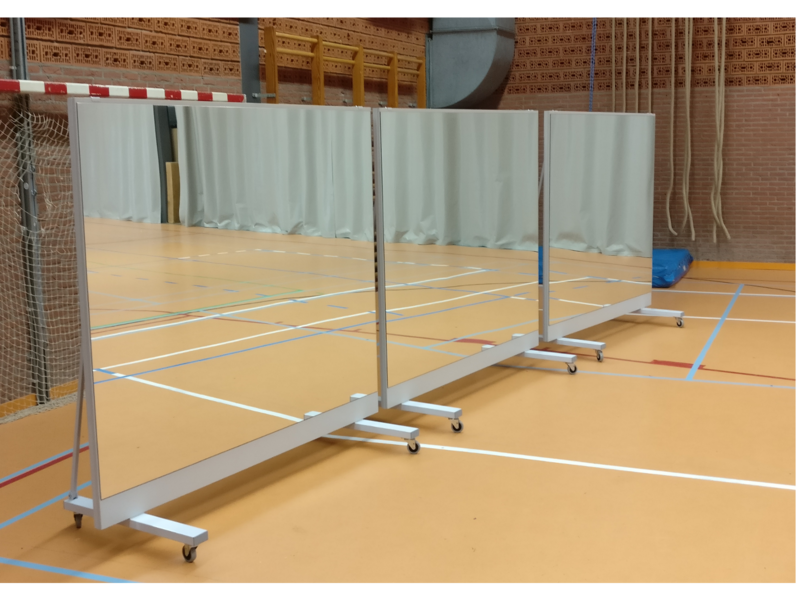 If a continuous mirror wall is desired, several mirrors can also be placed side by side. In the case of particularly large rooms, the mirror can also be used as a flexible space separator. 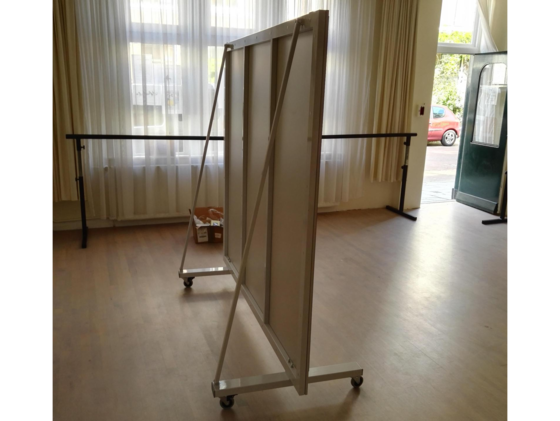 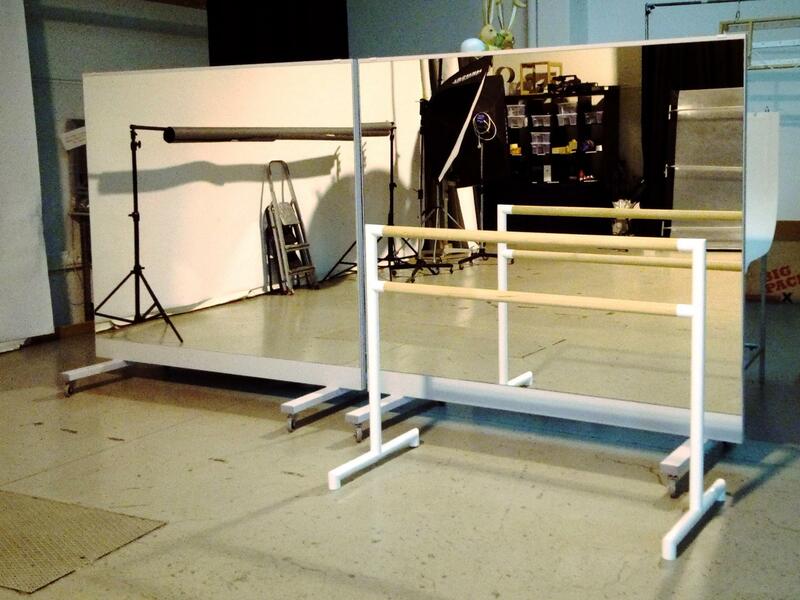 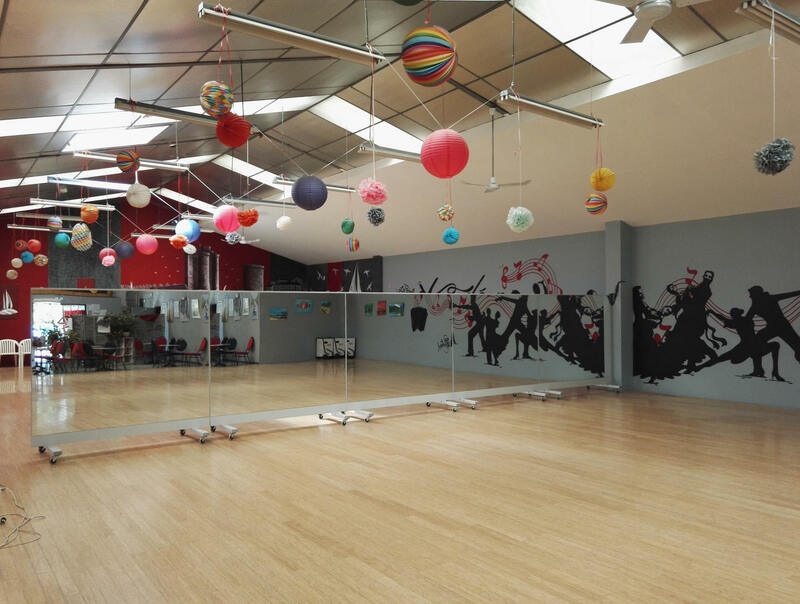 This makes every multi-purpose room and gym into a full-fledged ballet or dance studio with just a few hands. 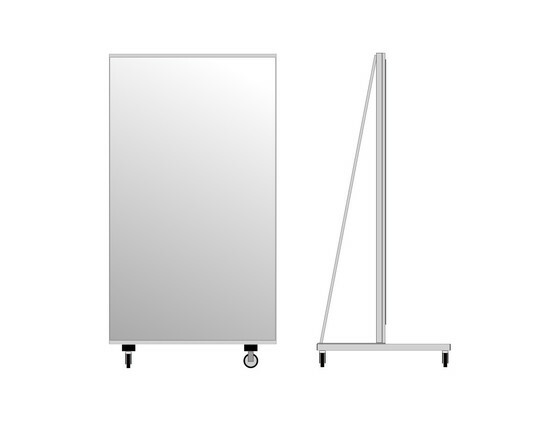 Four easy-to-move swivel castors allow easy placement of the mirror by only one person. 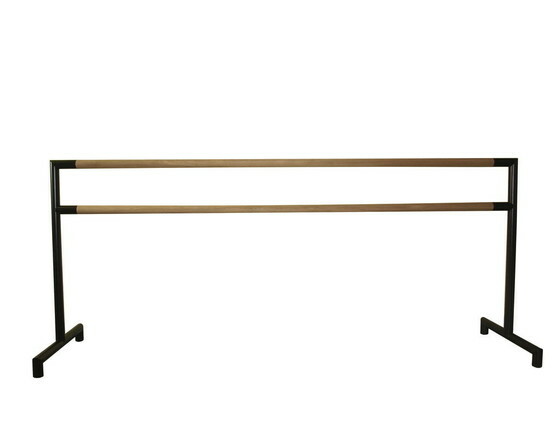 Once placed in position, an integrated brake ensures an immovable stand.